The holiday season is here at Warner Lakes Dental and we would like to take this opportunity to wish all our patients a happy holiday season. No matter what holidays you celebrate at this time of year, we want you to be safe, enjoy your family, and have good oral health for the holiday season and beyond. 4 Advent Count Down Strategies For Kids! Make your advent calendar a healthy one! A Puzzling Treat – Draw a picture or write a special message on a blank puzzle. Break the pieces apart and place one puzzle piece in each day of your advent calendar. Story-A-Day – Pick out a holiday-themed book for every day of your countdown. Have your child open a new book each night at bedtime and read it together. An advent calendar can be a fun family experience and one that stimulates a child’s mind instead of leading to plaque, tartar, and cavities! Keeping That Smile On Your Face During The Holidays! Here are eight handy tips to keep your smile in tiptop condition during the holidays and beyond. Cigarettes and alcohol. Even non-smokers have been known to have a cigar or two at Christmas time and alcohol consumption generally rises. Both of these increase the risk of gum disease. Not drinking or smoking is the best route to take for healthy teeth and gums, but, if you do, you should still ensure that you clean your teeth well. Watch the sweets and chocolates. Most of us eat far too many sweets, chocolates and generally unhealthy foodstuffs at this time of the year. Consider tooth friendly alternatives such as vegetables, nuts and cheese that are less acidic and don’t cause some of the damage that sugar can do. Leave grazing to cows. Instead of leaving food out until all hours, set up particular times of the day to eat. These can be sit-down meals or buffet style, but it’s important that there is a definite beginning and ending to these times. If you are going to attend events with buffet tables, consider filling up on healthy snacks before you go out. Visit us at Warner Lakes Dental! 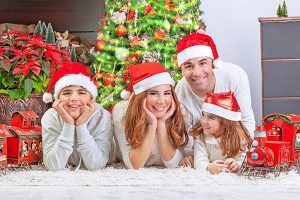 –The Christmas holiday can be very damaging to your smile, so it’s important you give your teeth and gums the best chance of survival by getting a professional dental cleaning. At Warner Lakes Dental, we are here to help you keep your teeth clean for the holiday season and beyond! Make the holiday meaningful –We often structure our holiday events around food, but this is bad for your teeth and waistline. To take the focus off of food, set up activities like board and card games, craft projects or holiday movie marathons. Drink water. You need a lot of energy for holiday activities, but avoid drinking sodas, sports drinks and juices with lots of sugar. Instead, drink water with fluoride in it to keep your teeth strong and healthy. If you do have to drink soft-drinks or other sugary drinks, drink them through a straw and brush your teeth when you are done. The sooner the sugar is out of your mouth, the better. Take more turkey. One holiday food that’s great for teeth is turkey. It’s a great source of phosphorus and protein –which help your body fight tooth decay and keep your teeth strong and healthy. Chew sugarless gum.Sugarless gum creates more saliva production and helps to wash away sugar and harmful acids, thus fighting plaque buildup and cavities. Warner Lakes Dental wants your visit to be the quickest and most convenient dental experience possible! From parking to treatment, we try to make the entire process as simple and painless as possible! Warner Lakes Dental is your trsuted family dental clinic in Warner. During the holidays, and throughout the year, we are your partners in dental health. Call us on (07) 3448 0162 or request your appointment online!